Ian’s latest book, published shortly after his death, is now available from the Publications section of our website. Prestwich from country parish to suburban town. 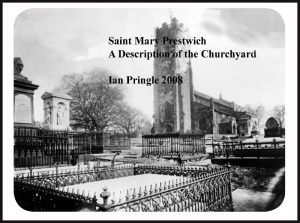 a review of the development of Prestwich after 1700 with many great pictures. Price £5.00 plus £2.50 p&p Prestwich from country parish to suburban town. Part 1. First talk of the new season.